Africa’s biggest tequila toast returns to our Outdoor Event Area and will be blanketed in colourful décor to transform into the ultimate fiesta setting for Mexican festivities to wow the craziest of minds. 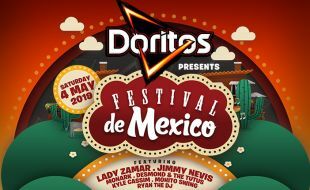 Get ready for the biggest celebration of Mexican Food from over 24 different food vendors, vast variety of tequilas, Mexican cocktails, piñata showdowns, a chilli eating competition, bull riding, and entertainment in bucket loads and let’s not forget the kiddies area where you can drop your little ones off. The live entertainment also boasts an impressive local line-up of Lady Zamar, Jimmy Nevis, Desmond & The Tutus, Monark, Kyle Cassim, Mohito Swing and Ryan The DJ. So don’t miss out on a day that’s going to be filled with great food, amazing music and entertainment the entire day for the whole family.